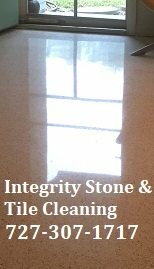 Looking for natural stone, terrazzo or tile and grout cleaning services in the Tampa Bay Area. We also do marble, travertine and terrazzo polishing. What about travertine cleaning? We clean more travertine tile floors than any other natural stone floors. We are travertine experts whether it's cleaning, polishing, restoring, sealing or filling holes. Our next most popular service is granite cleaning and sealing. 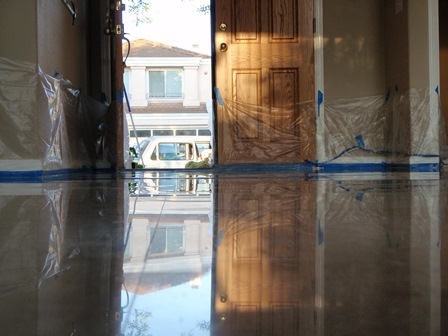 We use the highest quality sealer when it comes to sealing your granite countertops. The sealers we use to seal your granite and all your stone surfaces are food grade, which makes them safe for you and your family. When it comes to cleaning natural stone, terrazzo or ceramic and porcelain tile and grout or just maintaining natural stone, we strive to help educate our customers on the best protection they can have, helping them save time and money in costly restoration costs down the road. We offer our services throughout the Tampa Bay Area. If you want to know more about our services and how we can help you maintain you tile and grout in your home or place of business?